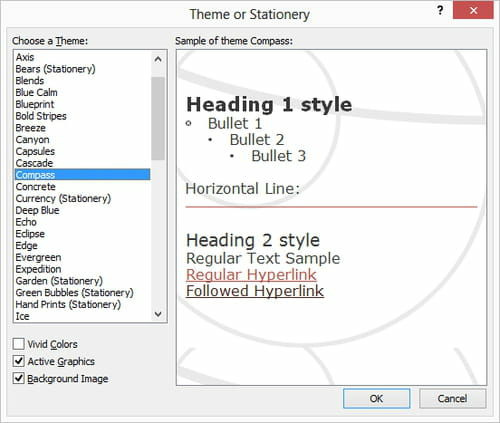 Stationery feature of Microsoft Outlook provides a consistent set of design elements such as fonts, bullets, colors, effects, themes and backgrounds that can be applied to your messages. You can also create your own stationery. This option is available only if you use the HTML message format. 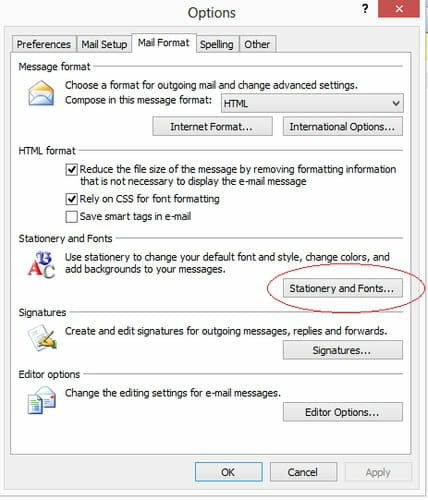 If you try to apply a stationery when the Text message format is being used, the following message "The themes are not installed "
Next to "Compose in this message format", select "HTML ." Click on Stationery and Fonts. If the Personal Stationery tab , click Theme . Click on Ok to save your settings. If the Personal Stationery tab , click Theme. Published by deri58. Latest update on September 12, 2013 at 05:44 AM by deri58. 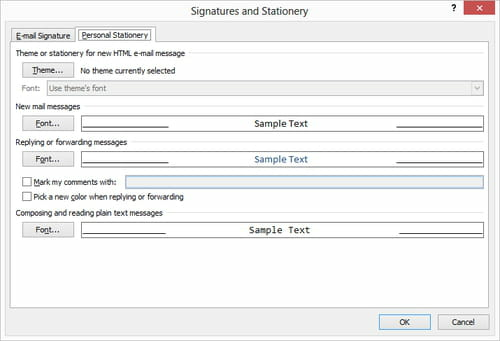 This document, titled "Outlook - Add a theme, backgrounds, ..to your messages," is available under the Creative Commons license. Any copy, reuse, or modification of the content should be sufficiently credited to CCM (https://ccm.net/). Outlook.com: Stay connected to your social profiles!